Savory and ready fast, this Spicy Queso Hummus Dip Recipe is the hit of any party or gathering. It’s even perfect for a pre-dinner snack with the family! 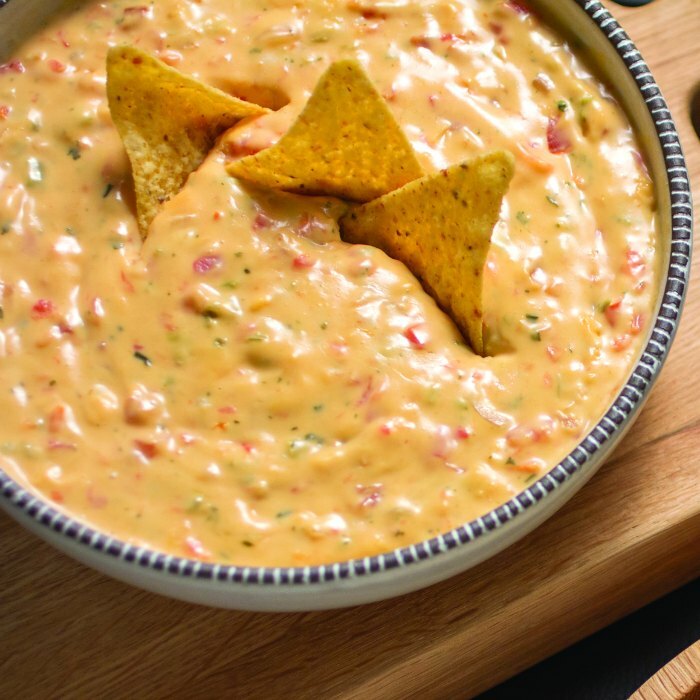 One of my husband’s favorite party snacks is a cheese dip, but this spicy queso hummus dip takes it to a whole new level. When you get home from work, reach for a healthier alternative to snacking on junk food that you can get on the table quickly to satisfy your hunger while you prepare the main meal. Instead of serving sweets, gather around the kitchen counter and share stories about the day while enjoying this spicy hummus queso dip recipe with chips or with fresh sliced vegetables, which are easy to prepare and refrigerate ahead of time. The secret to this dish is the simple freshness of smooth and creamy Sabra Hummus, which is available in more than a dozen flavors with unique ingredients from around the world for a wide range of pre-dinner treats. You can find more hearty-meets-healthy appetizer inspiration at Sabra.com. 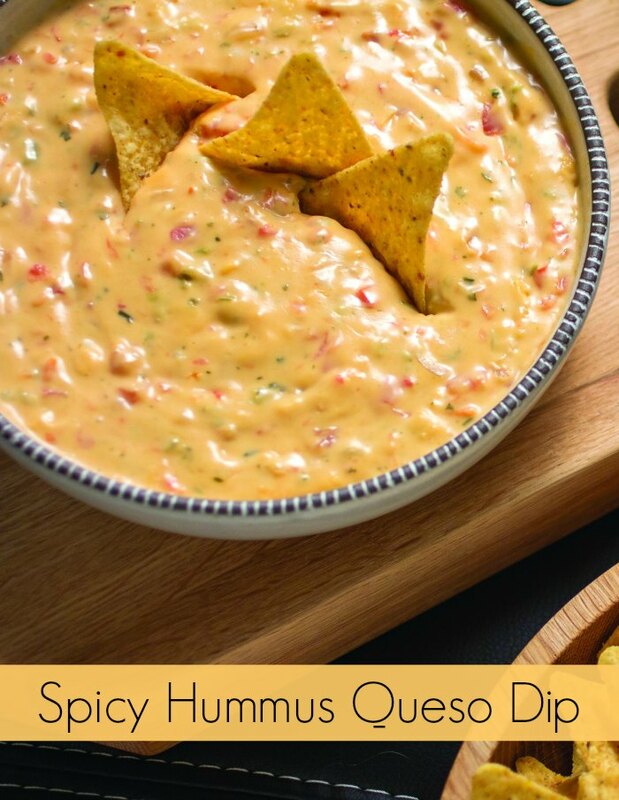 Like this spicy queso hummus dip recipe? Find more fun recipes on Mommy Evolution! Savory and ready fast, this Spicy Hummus Queso Dip is the hit of any party or gathering. Yumm…this would be perfect for any party (you can never go wrong with any kind of cheese dish, right?)! Thanks so much for sharing your recipe with us at Share The Wealth Sunday! Pinned for later! May I ask what plugin you use to create your printable recipe? Found you on Inspiration Monday linkup. Easy Recipe Plus… it’s a wonderful plug-in and just as the name implies… it’s easy. This is my chance to try hummus, it’s crazy but I never have. Thanks for linking this yumminess to the Creative K Kids’ Tasty Tuesday! I would have never thought of this combo! Pinned! Sounds delish. Yum! This would be a perfect appetizer for parties. Thanks for sharing with us all at Family Joy Blog Link Up Party this week. My son and I will LOVE this!! Can’t wait to try it!! That sounds amazing! I’m obsessed with hummus, especially spicy hummus. And adding cheese to it is just genius. Hi! I love hummus. I love cheese (especially cheddar). I love dips! So this recipe is for me and it looks scrumptious. I can’t wait to try it. Thank you! Pinning! This looks so delish and I love the idea of a little healthy hummus!! Thanks for sharing with us at Throwback Thursday!